Collagen or fat injections can be used to plump the lips, but touch-up injections will be needed periodically. Alternatively, implantation of a soft biocompatible material such as Softform or Gore-Tex will give a permanent full, sensual youthful appearance to the upper and/or lower lips. This material is placed into the lip through small incisions and acts as a filler to increase the red show and projection of the lip. 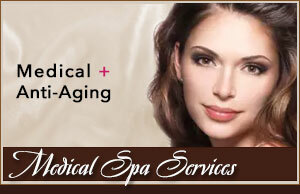 These procedures can also be used to fill creases in the face caused by aging. 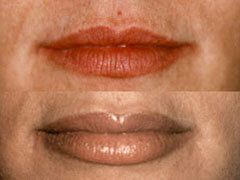 Click here for more before and after lip augmentation photos.